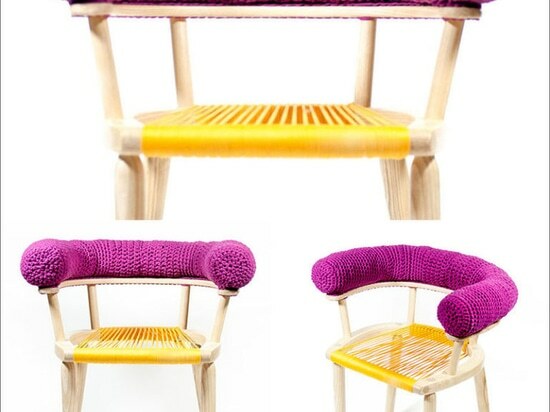 Veega Tankun, a recent graduate from the University of Brighton, and founder of VeegaDesign, has created a collection of furniture that features weaving and knitting techniques. 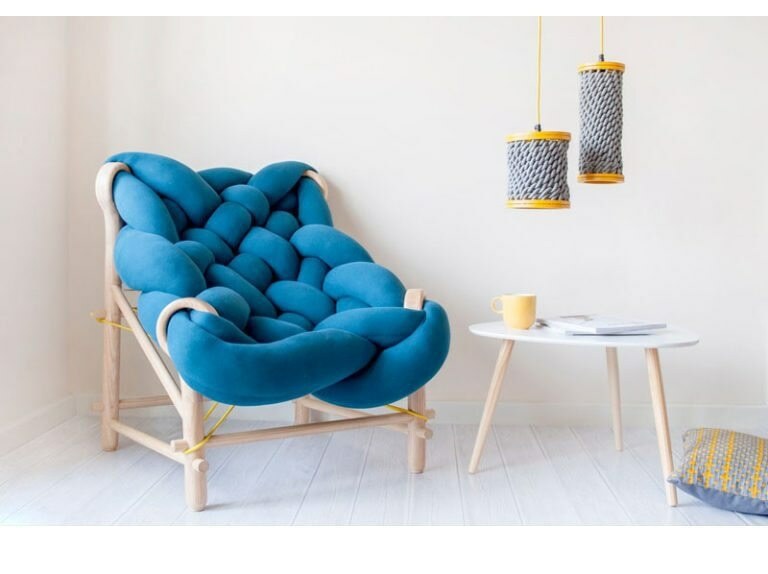 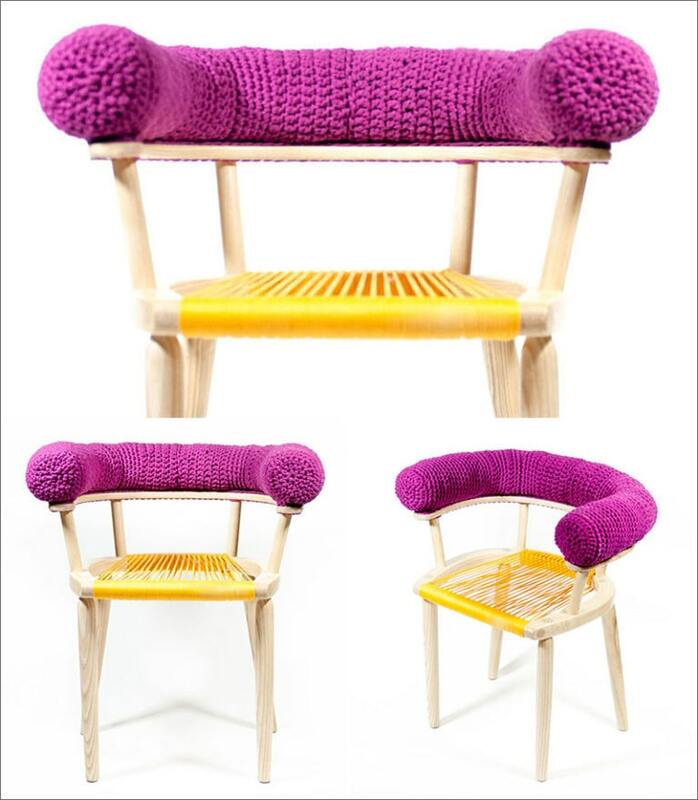 The London-based designer combines traditional techniques with modern day design to create playful and bold designs, like this chair that has a wooden frame that’s cushioned with large noodle like upholstery. 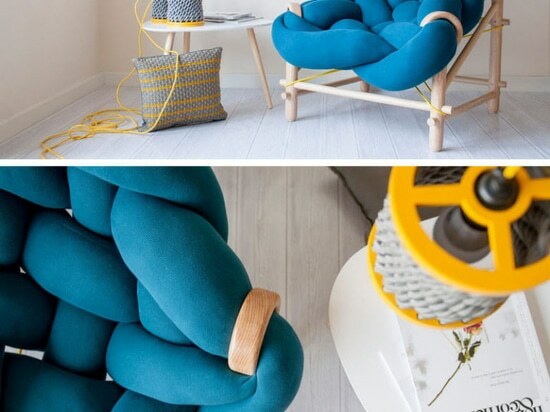 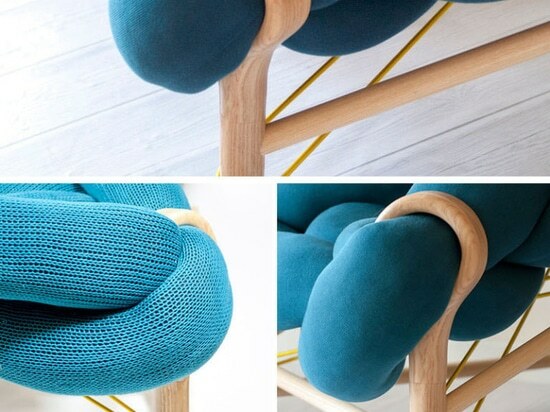 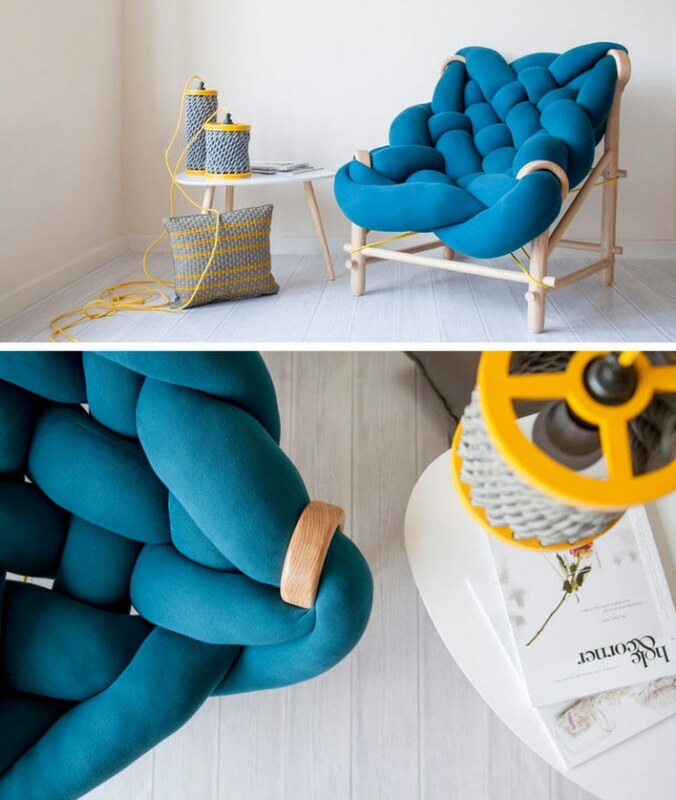 In this armchair design, she uses crochet to create the upper cushion that sits on the armrest. 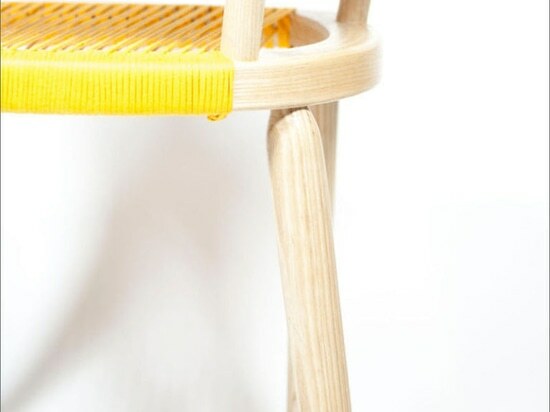 For the seat of the chair, yellow yarn has been wrapped around the wooden chair frame. 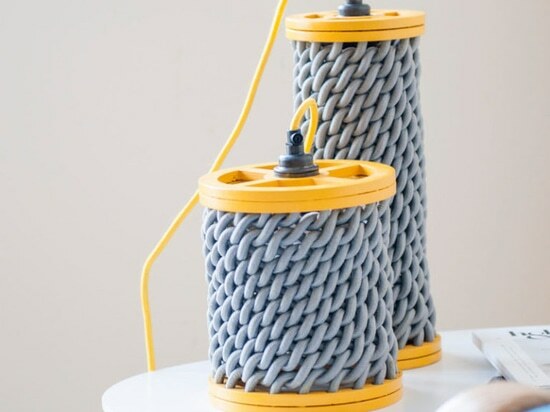 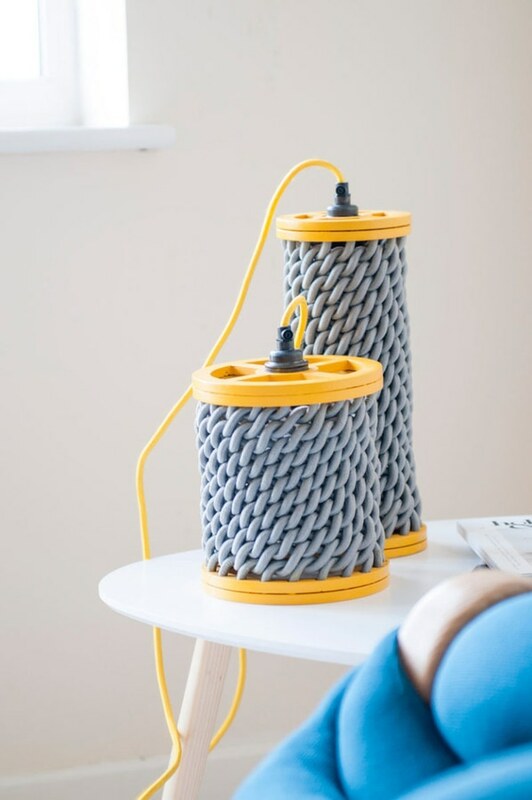 Rounding up the collection is a pair of pendant lights with grey cord sandwiched between two bright yellow discs that match the yellow electrical cord.